Celebrate Octoberfest with German cheer, German beer and food, dancing and singing along the Spokane River downtown at the Spokane Convention Center Friday, Saturday & Sunday, September 23-25. Oktoberfest at the River 2016 is a time to unwind and make new friends, learn new customs and sing a few songs. 30 continuous hours entertainment and fun for the whole family. The well known German tradition, the tapping of the Firkin is Friday at noon, and as German tradition calls for, it will be tapped by the Mayor, David Condon, The Spokesman-Review Publisher W. Stacey Cowles and other dignitaries. Traditional German music by the Alpenband from California will accompany the marching in of the keg and opening ceremony. There will be an area just for kids and families for all sorts of German themed fun! Arts and crafts projects for all ages along with games for the entire family - Corn Hole Toss, Holey Board and more. On Sunday, Manuela Horn will be performing a kinderfest show with fun dancing and a sing a long for all ages. Also on Sunday, Wiener Dog races will be held in the afternoon around 3pm and there is the River-City Rootbier Garden! 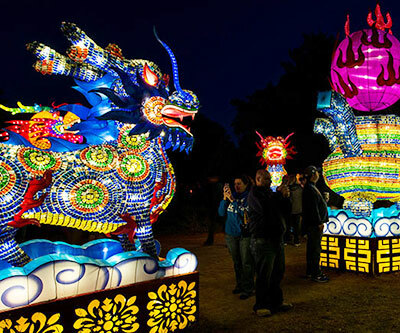 Don't miss this year's spectacular Chinese Lantern Festival in Riverfront Park, opening this Friday, September 16 and running through October 30. More than just lights, the Lantern Festival boasts six weeks of performance, hands-on activities and food. Marshall arts, face changing, contortionists, acrobatics and more entertainment is planned as well as lots of kids activities. There is something for the entire family. For more information, visit spokanelanternfestival.com. The Spokane Symphony, under the baton of Music Director Eckart Preu, launches its 2016-2017 Season with an exploration of the World of Melodies this Saturday, September 17 at 8pm and Sunday, September 18 at 3pm at the Martin Woldson Theater at The Fox. 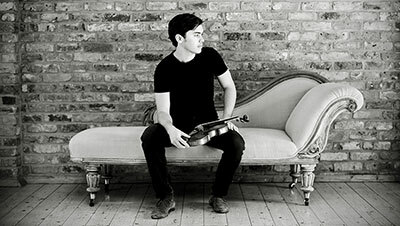 Musical selections include a performance of Beethoven's Violin Concerto by renowned violinist Ilya Kaler, Respighi's 'Pines of Rome', and Richard Strauss' Der Rosenkavalier Suite. Both performances have a pre-concert talk one hour before curtain time. The lecture is free to all ticket holders. Ilya Kaler will be giving a master class on Friday, September 16 at 3pm at The Fox. Both performances will also feature a tribute to Dr. Elizabeth Welty. One of her favorite pieces will also be part of the program - Anvil Chorus by Verdi. It will be sung in English by the Spokane Symphony Chorale. Dr. Welty was one of our community's most treasured arts supporters and a longtime friend of the Spokane Symphony. 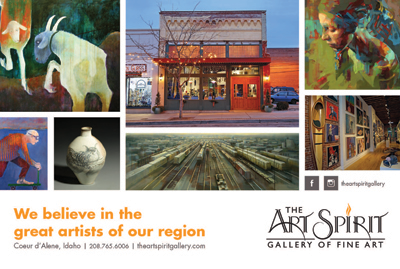 She was an avid supporter of the arts, making an enormous impact throughout the community. 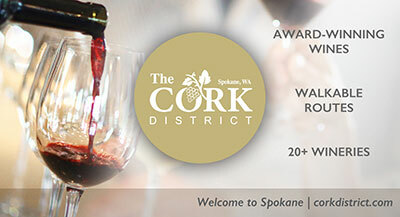 For ticket and concert information, visit www.spokanesymphony.org. Tickets are also available at www.ticketswest.com or 800-325-SEAT. 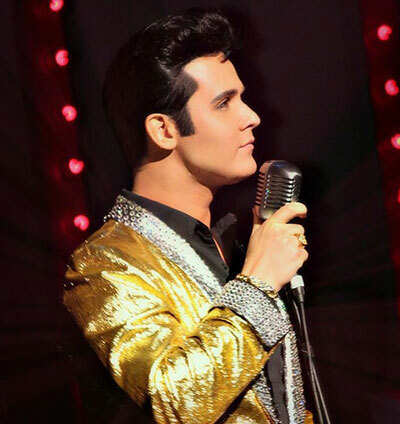 Ben 'Preslee' Klein presents an ELVIS Tribute show featuring GI Blues and Gospel Gold this Sunday, September 18 from 4 to 7pm at the Eagles north location, 6410 North Lidgerwood. Tickets are $10 at the door. 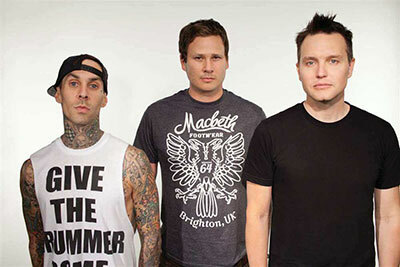 Blink-182 with special guests A Day to Remember and All American Rejects make a stop here on their North American tour, this Friday, September 16 at 7pm at the Spokane Arena. Ticketswest has your seats at www.ticketswest.com or 800-325-SEAT. 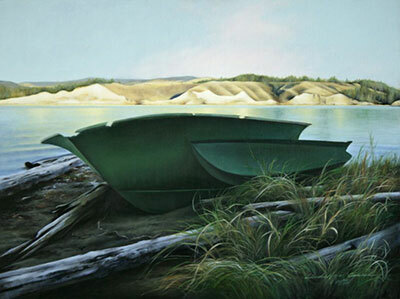 The Northwest Museum is excited to host Artist Linda Hyatt Cancel and her exhibit 'The Rising: Painting of Lake Roosevelt National Recreation Area,' opening today, September 14 and running through January 1, 2017. Linda will be creating works that represent the beauty and mystery of the 130 mile lake formed by the Grand Coulee Dam as a collection of paintings for the Artist-in-Residence program for Lake Roosevelt National Recreation Area. Join the Museum on Sunday, September 18, from 2-4pm, for a very special meet and greet with the Artist Linda Hyatt Cancel. View this beautiful new exhibit, and hear how Linda's Pacific Northwest upbringing inspires her paintings, evoking and inspiring her love of what atmosphere does to the horizon. 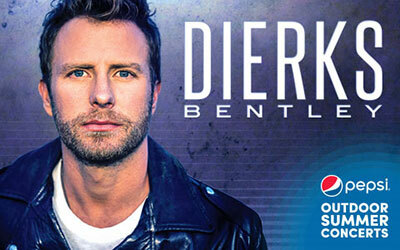 Country music star Dierks Bentley and Ticker Beathard come to the Northern Quest Summer Concert Series stage next Wednesday, September 21 at 7:30pm. Arbor Crest's Summer concert series is winding down and there are only a few weeks left of outdoor music. This Thursday, September 15, Isaac Walton and Current Flow perform Alt Folk Rock from 4:30-6:30. No cover. And on Sunday, September 18, Fusbol plays Pop Rock. Sunday music runs from 4:30 to sunset and there is an $8 cover charge. 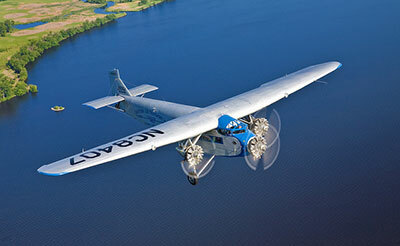 The Ford Tri-Motor became the first airplane put into commercial airline service in the United States. You can fly on this historic plane for just $70 September 22 through 24 at Felts Field. Go to eaa.org for more information and your seats. 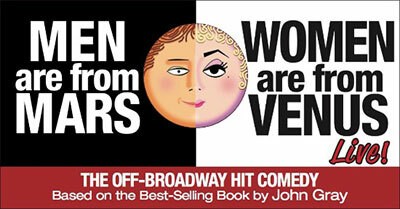 One night only at the Bing Crosby Theatre, Saturday, September 24 at 8pm, enjoy the off Broadway hot comedy based on the best-selling book by John Gray, Men are from Mars, Women are from Venus.